How to customize the look of total share counts? If you are using Super Socializer or Sassy Social Share plugin for Social Sharing, follow the steps mentioned below to customize the look of total share counts. You can change font size of Total Count by applying CSS to .the_champ_horizontal_sharing .theChampTotalShareCount (for standard sharing interface) and .the_champ_vertical_sharing .theChampTotalShareCount (for floating sharing interface) selectors. You can change font size of “Shares” text below total count by applying CSS to .the_champ_horizontal_sharing .theChampTotalShareText (for standard sharing interface) and .the_champ_vertical_sharing .theChampTotalShareText (for floating sharing interface) selectors. You can customize the look by applying CSS to .the_champ_horizontal_sharing .theChampTCBackground (for standard sharing interface) and .the_champ_vertical_sharing .theChampTCBackground (for floating sharing interface) selectors. You have to save this CSS in Custom CSS option at Super Socializer > General Options page in admin area. Note: Use CTRL/CMD + Shift + V to paste any of the CSS below into your WordPress editor to avoid errors! You can apply these CSS simultaneously to achieve combined effect. You can modify the look of counts according to the applied CSS. You can change font size of Total Count by applying CSS to .heateor_sss_horizontal_sharing .heateorSssTotalShareCount (for standard sharing interface) and .heateor_sss_vertical_sharing .heateorSssTotalShareCount (for floating sharing interface) selectors. You can change font size of “Shares” text below total count by applying CSS to .heateor_sss_horizontal_sharing .heateorSssTotalShareText (for standard sharing interface) and .heateor_sss_vertical_sharing .heateorSssTotalShareText (for floating sharing interface) selectors. You can customize the look by applying CSS to .heateor_sss_horizontal_sharing .heateorSssTCBackground (for standard sharing interface) and .heateor_sss_vertical_sharing .heateorSssTCBackground (for floating sharing interface) selectors. 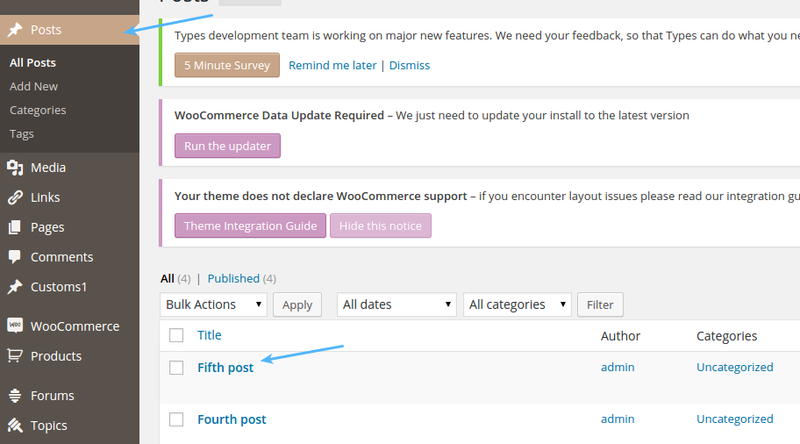 You have to save this CSS in Custom CSS option in Miscellaneous section at plugin options page in admin area. How to customize the look of individual share counts? 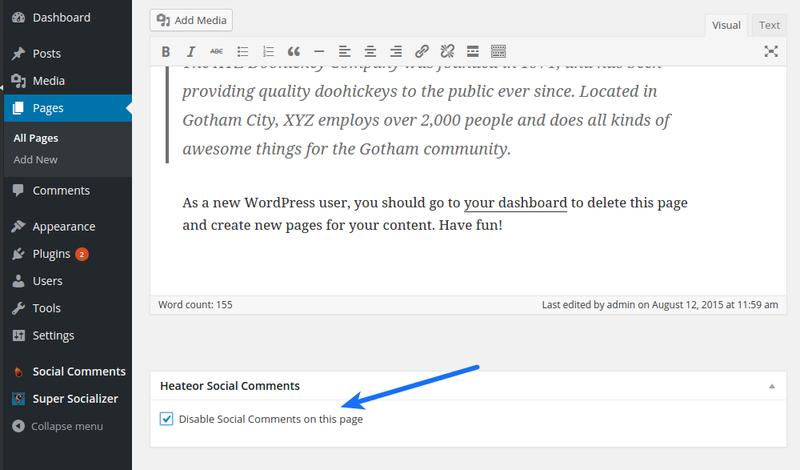 If you are using Super Socializer or Sassy Social Share plugin for Social Sharing, follow the steps mentioned below to customize the look of individual share counts. You can customize the look of individual share counts by applying CSS to .the_champ_horizontal_sharing .the_champ_square_count (for standard sharing interface) and .the_champ_vertical_sharing .the_champ_square_count (for floating sharing interface) selectors. You can modify the look of counts according to the applied CSS. You can customize the look of individual share counts by applying CSS to .heateor_sss_horizontal_sharing .heateor_sss_square_count (for standard sharing interface) and .heateor_sss_vertical_sharing .heateor_sss_square_count (for floating sharing interface) selectors. How to show Whatsapp icon only on mobile devices? If you are using Super Socializer or Sassy Social Share plugin for Social Sharing, you can follow the steps mentioned below to show Whatsapp icon only on mobile devices. 783px in above code is the maximum width of the mobile device screen to show the Whatsapp icon. Screens wider than this won’t show Whatsapp icon. You can change it according to your needs. How to integrate Google Analytics with sharing? If you are using Super Socializer or Sassy Social Share plugin for Social Sharing, you can download the add-on at following link to integrate Google Analytics with sharing. How to share specific page? If you are using Super Socializer or Sassy Social Share plugin for Social Sharing, follow the steps mentioned below to share specific page/post. 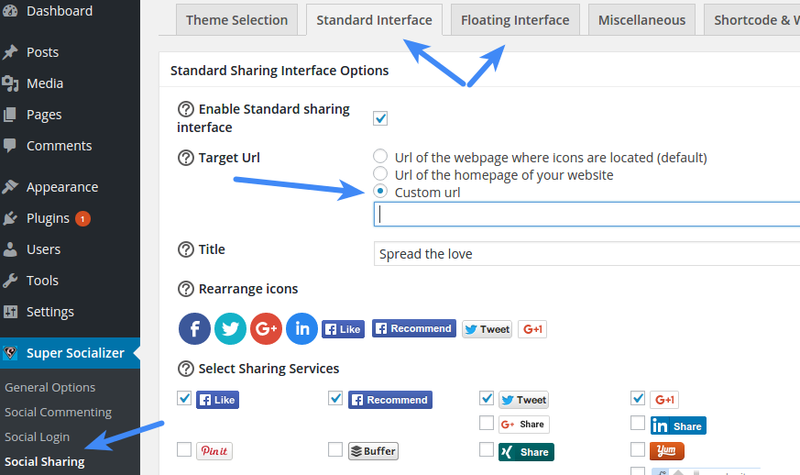 Navigate to Standard Interface or Floating Interface section (depending on for which icons you want this) at Super Socializer > Social Sharing or Sassy Social Share page and save the desired url in Custom url option. This will make all default (enabled without using Shortcode and Widget) sharing interfaces share this url. To specify an specific url for the interface enabled using Super Socializer or Sassy Social Share shortcodes, you can use url attribute in shortcode as mentioned here and here, respectively. To specify an specific url for the interface enabled using widget, select Custom Url in Target Url option, specify desired url below this option and save changes. If you are using Sassy Social Share plugin for Social Share, follow the steps mentioned below to enable social share in the content of individual page/post. 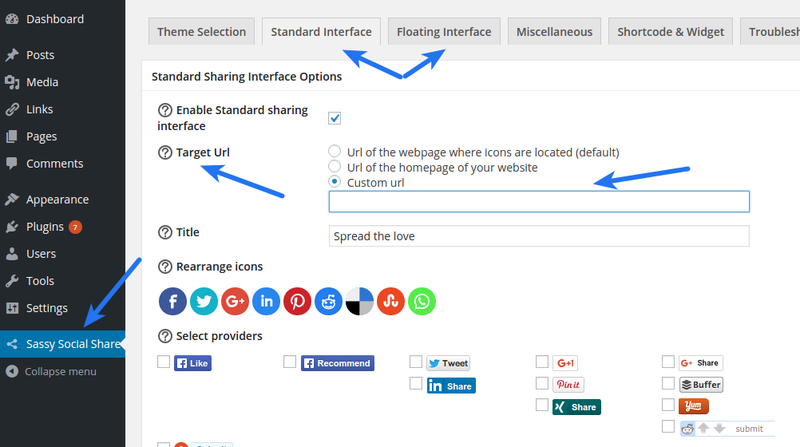 You can use [Sassy_Social_Share] Shortcode in the content of required page/post where you want to display Social Sharing interface.